Choosing the perfect exterior color for your home can be a daunting task. Whether you plan to enjoy your house for years to come or you’re considering listing the property in the near future, it’s crucial to select the paint color wisely. The hue that you opt for will have a significant impact on curb appeal and create first impressions for visitors and passersby, so consider the tips we share here before beginning the painting process. Home styles vary by geographical location and era built, and taking these details into consideration may help you find the most flattering shade(s) for the exterior. For example, if you live in a historic property such as a Queen Anne Victorian or mid-century ranch, a bright or eclectic paint color probably won’t be the right fit. To accentuate older homes’ best features, consider sticking with neutral colors. To add a touch of personality, choose a subdued bold color such as burgundy or hunter green. Regardless of your home size, we recommend selecting at least three different shades to create a pleasing visual effect. Painters have three main areas to focus on: these include the field color, accent color, and trim color. The field shade is the primary focal point of the house, while the accent hue is reserved for small areas such as shutters. The trim color will be used for areas like window casings and the roof edging, and this hue should contrast strikingly with the field shade. If you’re not sure which colors work well together, reach out to a painting company for guidance or browse for examples online. A fresh coat of paint will have a big impact on the aesthetic of the home. When selecting the best exterior paint colors for your property, be sure to plan around the elements that are difficult to change. These include roofing components such as terracotta, stonework around the driveway, and exterior materials like adobe or brick. For best results, choose a color scheme to work with the natural undertones in these areas. For example, a home with a terracotta roof and adobe accents will likely look best when paired with other warm colors. Spring and summer are the perfect time of year to treat your home to a makeover. 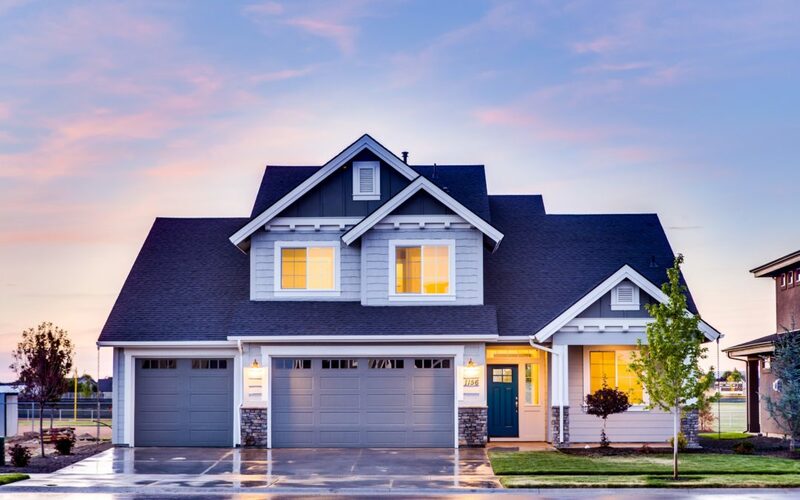 In sunny areas like Boulder, the weather should be ideal for touching up the property’s exterior after a harsh fall and winter. If you’d like to skip the hard work of prepping and painting your home, reach out to a team of professionals. Our crew has served the Boulder area for more than 40 years, and we provide excellent results for both residential and commercial projects. We offer free color consultations, and we’re happy to help you select the ideal color(s) for your upcoming project. To learn more about our services, please call Hector MacLean at 303-324-0561.